Glass furnace composite seal refractory series, with all kinds of high technology has been widely applied in glass industry furnace, self-closed and seal of a bottom, the wall must be adopt multi-layer sealing structure, make the glass furnace to realize "absolute seal". This not only ensure the safe use of furnace, also avoid the kiln, greatly extend the service life of the furnace, and because the seal and strengthen the implementation of the heat preservation, greatly improve the melt process. Therefore, the sealing of kiln furnace is a major structural improvement of glass melting furnace. 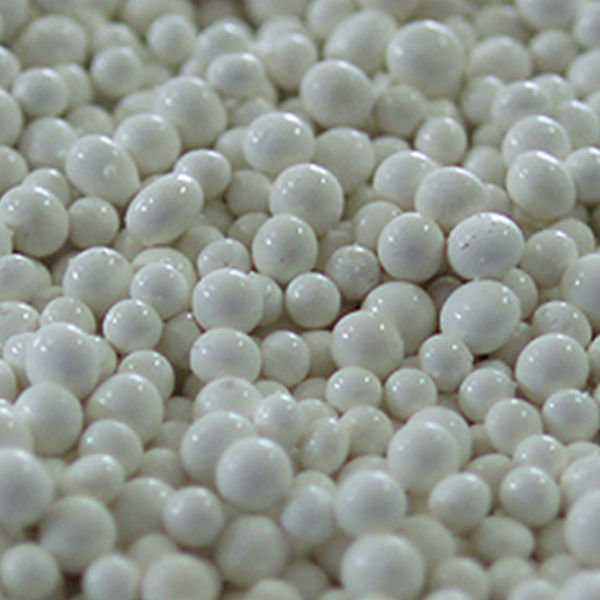 It is a series of silica - sealed refractory materials. The refractory material series of high technology composite seal for glass melting furnace mainly include: a series of refractory materials for the silicon sealing of the crown, and a series of refractory materials with zirconium in the bottom and wall of the pool. The secondary materials are typical high - tech multi - phase composite sealing refractories, which have dynamic characteristics that are difficult to see in other composite materials. Silica seal refractory is a kind of important new refractory material which is widely used in glass kiln. Furnace big self-closed seal is by laying the self-closed use seal mud, crack of drying kiln process with dry sealing powder, laying on top of arch walling width silica brick layer sealing material multi-layer sealing. Silica seal refractory series is a modern high technology multiphase composite material, consisting of six phases: aggregate, ceramic binding agent, dispersion medium phase, modified addition phase, chemical addition phase and water. The technical performance indexes of silica seal refractory were improved by the special requirements of SiO2 ceramic binding agent. Masonry mud sealing and sealing layer material are as high as 1750 ℃, refractoriness under load softening point 1710 ℃, both the high temperature performance index is higher than the high quality silicon fire clay brick and big self-closed respectively increased by 40 ℃ to 50 ℃, this is a significant progress in the study of the siliceous refractory materials at home and abroad. Under normal temperature, low temperature and moderate temperature, it has special high bonding strength, which is another important reason for the successful use of this high technology composite sealing material in melting furnace. The bonding strength at normal temperature can guarantee that the masonry brick will not be cast after the removal of masonry. After 110 ℃ drying at low temperature, cold bending strength to more than 5 times higher than that of other high quality mud, up to 4 mpa; Medium temperature (800 ℃ ~ 1000 ℃) strength is improve and enhance the compound sealing material ceramic binder integrated system is one of the main features; Due to the good sintering effect at high temperature, the whole structure strength is produced by the large arch. Pool floor, pool wall electric fused zirconium - just jade seal refractory series. With the improvement of glass production melting temperature and yield greatly, the strengthening of the heat preservation furnace life extension, and the using of electric melting and bubbling technology, implement strict and effective sealing for furnace, is an important development trend of modern glass furnace, especially in direct contact with the glass bottom, wall and other parts, is especially important. Bottom, the wall zirconium just the quality of the jade seal series refractory, zirconium fused corundum is used as raw material, a new generation of ceramic bond, join the dispersed phase, modified to join phase, chemical additives type equal to the preparation of a pouring modern sealing material. Is mainly used in glass melting YaoChi bottom, wall and small furnace using zirconium fused corundum brick matching with the high technology of composite seal series of refractory material and its excellent glass erosion resistance, it is the key to ensure the safety of furnace operation, the conventional material can be compared, erosion resistance index was 0.6 times of zirconium fused corundum brick, AZS quality seal ramming material than phosphate combined with more than double. It have good erosion resistance, on the one hand, is due to using fused zircon corundum as main raw materials, the raw material almost no air hole exists, and it is by the strong erosion resistance of corundum, mullite and baddeleyite mineral phase composition; , on the other hand, this new type sealing castable due to high dispersing ceramic bond and colloidal particles, the results of sealing material after forming gap filling formed a thin capillary resistance to erosion of compact structure, greatly improve the damage resistance of the material, the molten YaoChi pool wall and bottom sealing in the actual application, has obtained the prominent use of successful experience and sealing effect. Glass furnace composite seal series refractory with high technology, both from a composite material, the perspective of the component phase composition, function and role, and the mutual dynamic reaction were studied, thus determine the new seal of refractory production method, technical route, process theory, developed the modern high technology dynamic compound sealing material series, added new varieties for refractory industry. Prev:From the environmental protection of the two talks, to see the future of refractory materials enterprises? Next:On April 1, the environmental tax levy, the price of all kinds of raw materials will start again!